OH ! Look !! 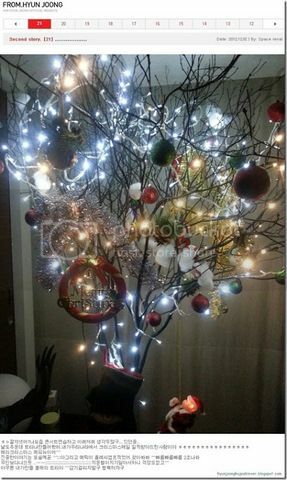 Hyun Joong has finished decorating his tree !! It looks like something from outer-space kekeke!!! A DIY Uzoosin X-mas Tree :) The tree's a bit leaning to the right... 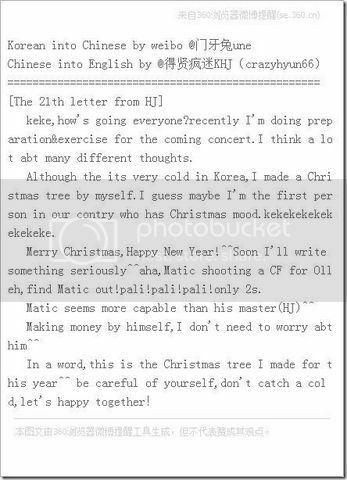 I suppose it's coz of the plump Santa, KHJ hung it on the lower branch....Santa's too heavy kekeke. 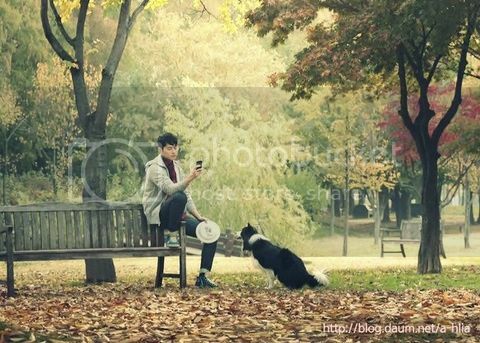 Below is Hyun Joong's message under the pic of the tree. Thank you so much everyone for the trans and re-posts. Oh, Hyun Joong has made me feel Christmassy...have to hunt up my Christmas decorations soon :) I guess KHJ's right....he might be the first person in Korea to be in the Christmas mood....only beaten by adds and storefront windows. 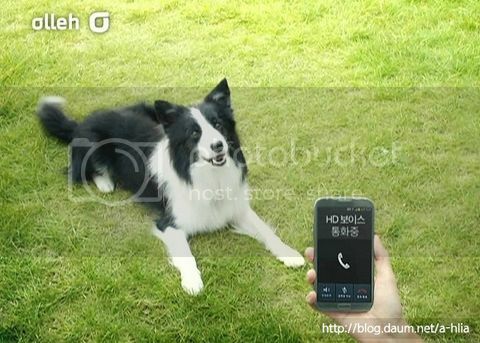 Hahaha.....it seems Hyun Joong can relax a little...Matic can now earn money !! 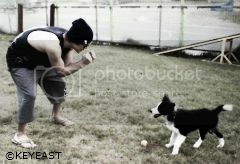 kekekeke...Like his master....Matic is hard working...and ....CUTE. Below is Matic's CF kekeke..... never thought I'd post Matic's CF...hehehe....I can't stop giggling ! !